Throughout our lifetime the body repeatedly encounters different levels of emotional and physical stress. All of these stressors add up and can create strain and stress on the tissues of the body. The body will show this in a variety of ways. It may be pain, numbness, or tingling. All of these symptoms indicate blockages in the body, and it’s systems. In Chinese medicine, these systems are called meridians or the channels and their associated organs. We think of the meridians and channels as waterways which connect all parts of the body to one another. When there’s a blockage, like a beaver dam, there are symptoms that can give us clues. Pain, numbness, tingling, and headaches are some examples. These blockages could be caused by any trauma, stress, improper diet, and so forth. When the systems are blocked a person experiences symptoms. We can detect this by palpating the body. The organs will have indicators on the abdomen, on the neck and back. The limbs of the body (arms and legs) show blockages as well which usually manifest as joint pain and muscle pain. We can detect blockages using palpation of the body, listening to the patient, and discovering the primary symptom and response pattern. For example, if we are treating the shoulder, we palpate both the shoulder and the neck, which enervates the shoulder. We find tender spots around the problem area and then employ multiple methods to clear blockages. These range from massage to acupuncture, cold laser, moxibustion, cupping, and Gua sha. 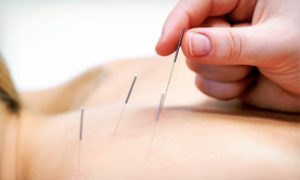 There are many different tools available within the scope of Chinese Medicine and Japanese acupuncture. In addition to these, in we practice martial arts trauma recovery techniques (Zheng Gu Tui na) as well as western massage therapy techniques. During the initial treatment we have an in-depth interview, develop a treatment plan, and provide a first treatment. We spend twenty minutes discussing your chief complaint, as well as, any auxiliary issues, health history, relationships, etc. 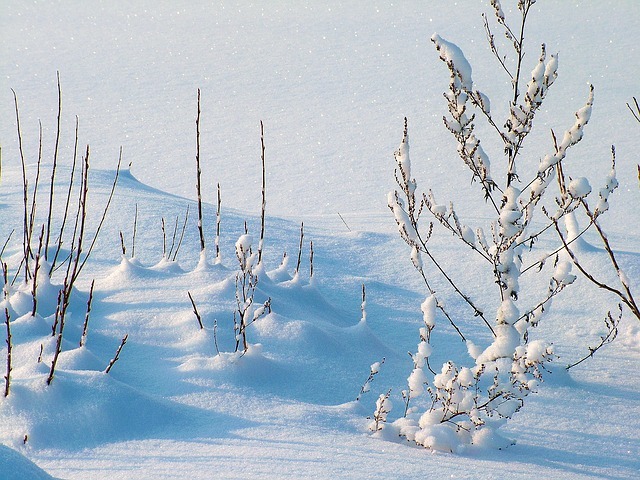 From there, we gather enough information to begin looking for the root of the problem. Let’s use the example of shoulder pain. We might start with the shoulder and work our way towards the neck. Usually, the neck and shoulder have a lot in common. We use palpation to find tender spots and then we’ll use distal points (points furthest away from the area of most pain) —maybe on the opposite arm or legs. This is to soften and relax the tender spots on the main area. After that, we palpate the shoulder again and perhaps there is forty percent relief in the most tender spots. Once they soften little bit, we are able to find the deeper cause of pain and discomfort in there. So, we begin again, to find the deeper layers. Then, we treat adjacent points, which, are closer than the distal points. They may be on the same arm but in the elbow region. Once we treat those points, we test the shoulder again. It may now be an additional thirty percent softer, and we’ve achieved seventy percent relief using these methods. Once we’ve gotten that far, we can go in locally and add cupping, moxa, and massage. Now you feel more space, there’s more freedom in the shoulder and we can really get at the origin of what’s going on (root cause). Is it actually a muscle? Or is it adhesive capsulitis in the joint? We can now explore and find out. Sometimes it can be easy and take one to three treatments, and sometimes it can be more difficult. It may take five, ten, or fifteen treatments. The questions we ask here are; how long have you had the injury? Have you applied a lot ice to it? What is your healing capacity? Are the bowel movements regular? Any problems with reflux? Issues like these can block healing. The organs can also maintain blockages to healing. We can palpate the abdomen to find out about organ functions, listen to the pulse, and correct those. It should be noted that we work on the underlying blockages first, in order to get to the main complaint or symptomatic issue. We look at this through the lens of roots and branches. The branches are the symptoms, and we can work at the root level to treat the symptoms. Research and find three acupuncturists in your area. Give them a call and ask them three to five questions about your issue and listen to how they answer. If you like what they say, look at their website, read their bio, read their reviews and make sure they’re licensed. 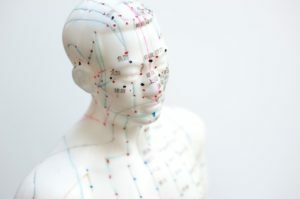 Licensed Acupuncturists go through rigorous education, clinic training, internships, externships, national board certification, continuing education, and state licensure. Once you’ve gathered this information, it comes down to who you’d like to work with. We are available to speak with you over the phone to answer any questions or concerns you may have. We offer a free in-person consultation, if that is what you need. Additionally, we provide referrals to other qualified and reputable acupuncturists, holistic, and allopathic practitioners in our area. This is at the core of our patient-centered approach, we want you to find the right person to help you achieve your health goals.